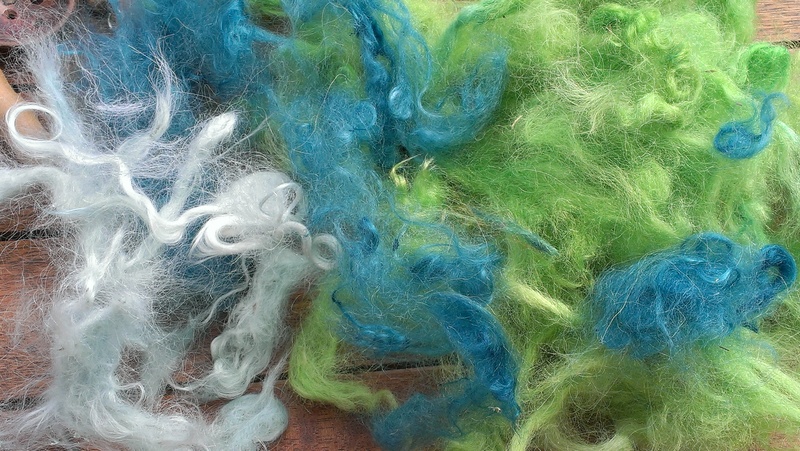 Some time ago I received a lot of fibres that even the felt group at my Guild didn’t want anymore. I think this was because I taught a class on ‘novelty yarns’, known to online spinners as ‘art yarns’ or ‘textured spinning’. 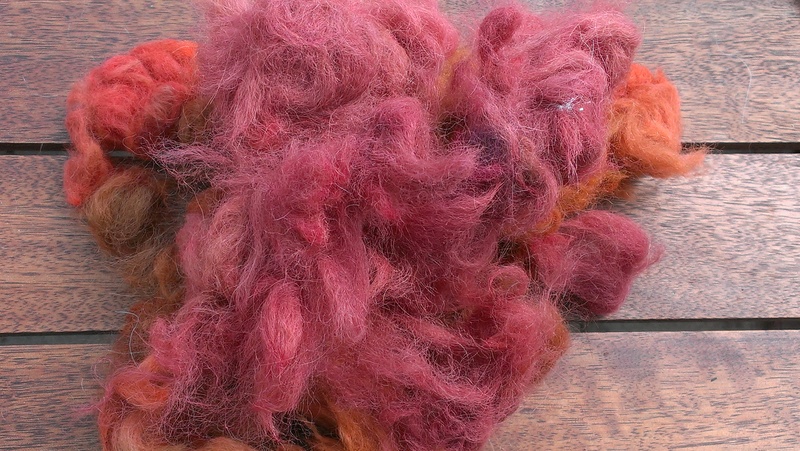 It is true, people like Pluckyfluff have been known to spin semi-felted wool and all manner of inexplicable (yet ultimately gorgeous) things–and I’ve done some fairly inexplicable, or at least hard-to-explain, spinning, myself. But there are limits! 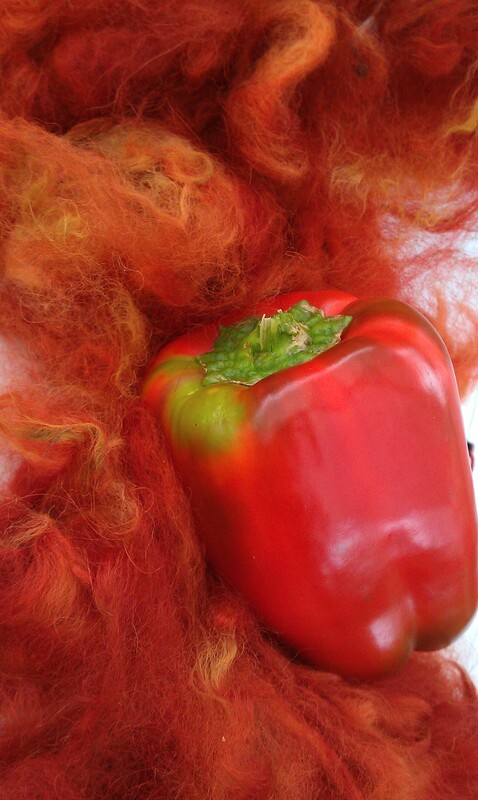 It seems some people equate artyarn with awful yarns made from awful fibres. I wasn’t about to inflict most of this fibre on beginners. What I felt was readily useable, I carded into batts for people to experiment on some time ago,. Some I turned into trash batts. Some I re-washed and turned into yarn. But just recently I found there was still some in my stash. Some was simply suffering from poor washing. Sticky and unpleasant to touch. I washed it. 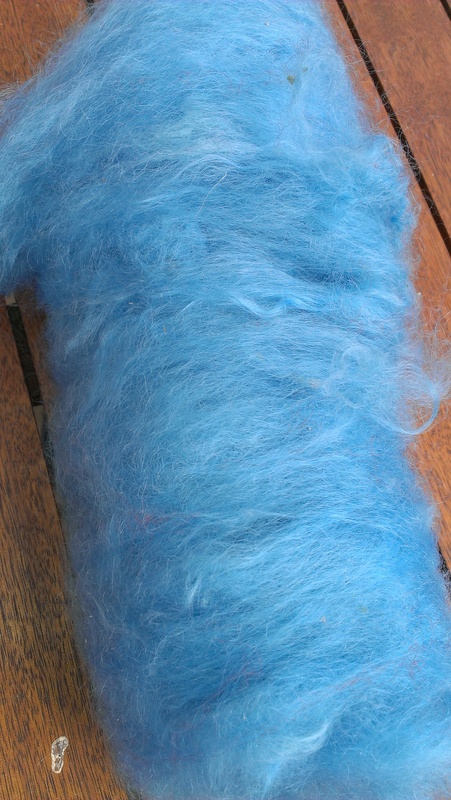 The amount of mohair the felting group handed over makes me think mohair isn’t favoured as a felting fibre. So some was just mohair. 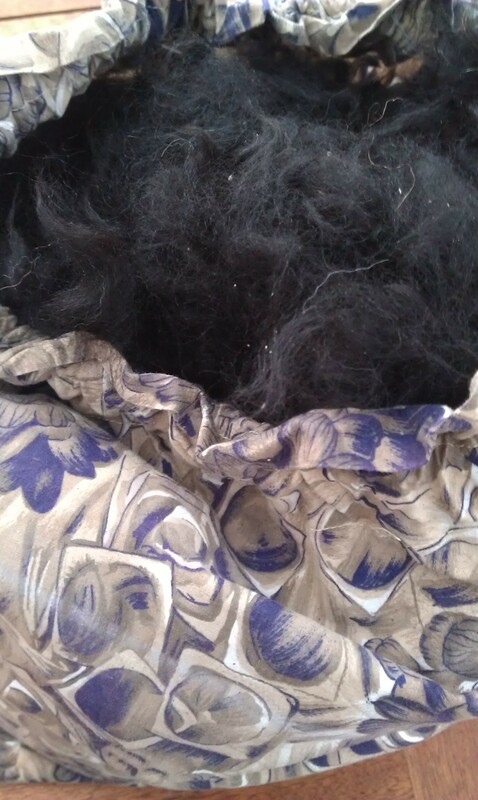 I carded it up and found it was neppy mohair, but still. Some was extremely short and rather matted. I would rate this trash batt standard, so carded it up with some longer wool to hold it together. Some was low quality alpaca in small quantities. I carded that with some longer fine wool too. I would rate almost all the resulting yarns basically suitable for yarnbombing… or perhaps I should offer them back to the felters! 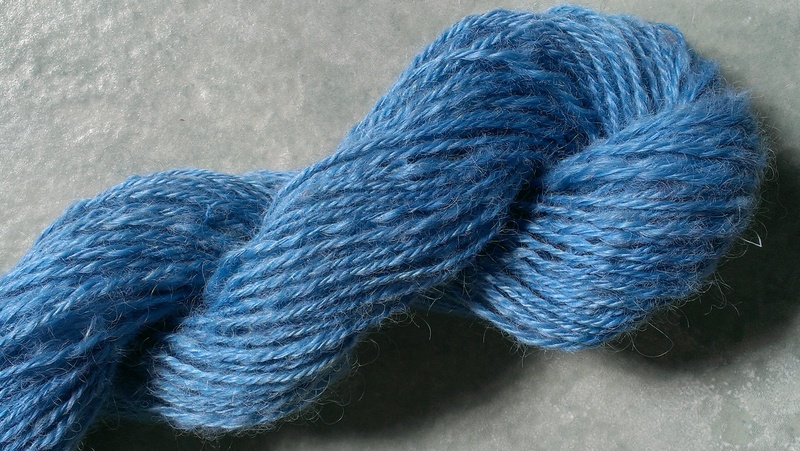 Only the mohair really became a yarn of any quality… not too surprising given what went in to the others! I also had some small amounts of fibre from an exchange. One was some kind of ruggy (coarse) wool with lots of contrasting nepps in it, and the other a quantity of a lustre longwool, something like English Leicester. 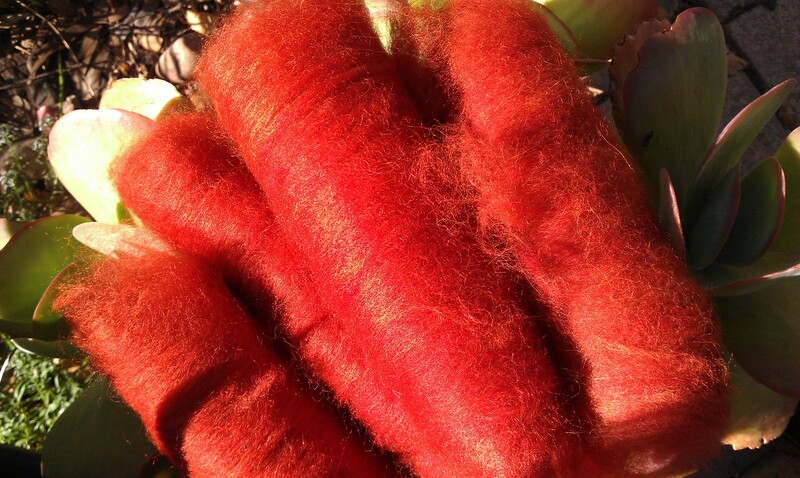 I checked my perceptions with two spinners of much experience at the Guild and we all agreed on these conclusions, which was a happy thing, suggesting I am learning about identifying wools. 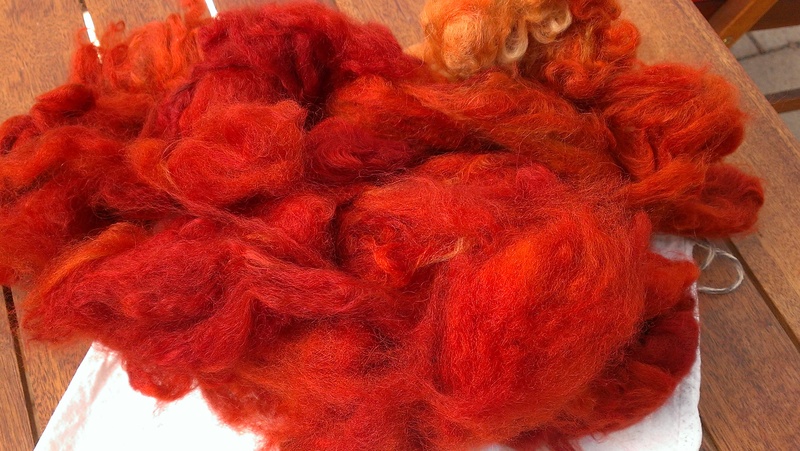 I decided on eucalypt dyes. 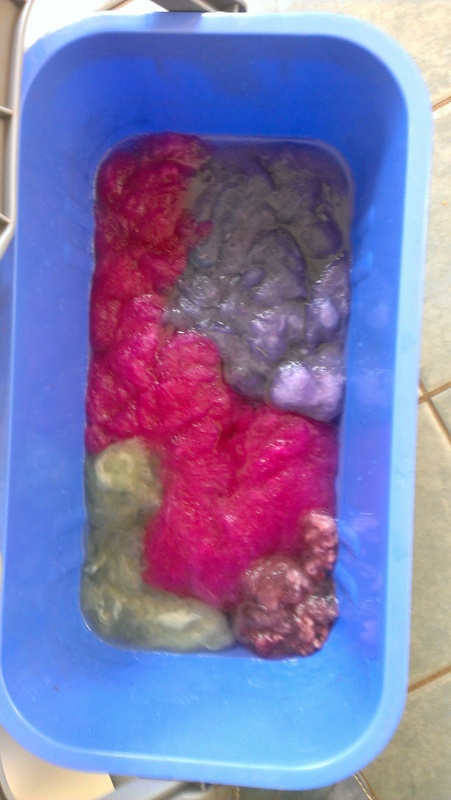 In each case I divided the fibre in half, and dyed one half in the first dyebath and the other half in an exhaust dyebath of the same leaves, to get two different tones. 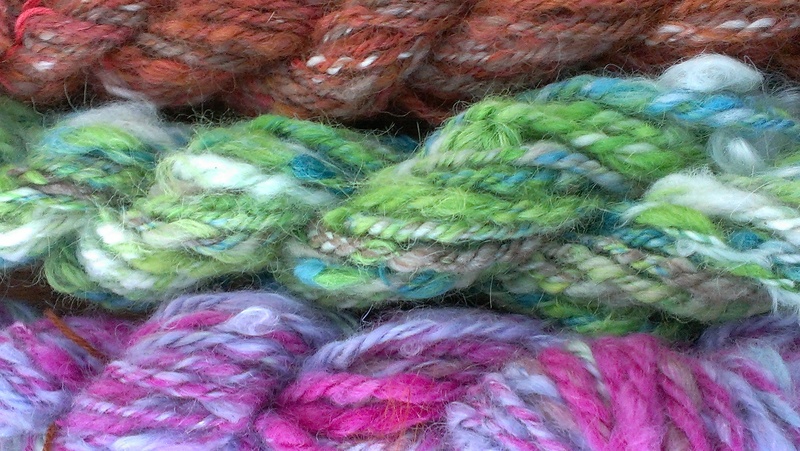 Then I spun the fibres up to retain the colours as distinct stripes.